The business world globally is struggling. With weakening economies, inflation, social unrest and highly competitive market places, these are trying times. In such a scenario, dedication, hard work, commitment to excellence, innovation, creativity, and the spirit of leadership drive businesses and keep them going. And the individuals who continuously rise up to do so are no less than heroes who save the world. They deserve recognition. A pat of appreciation from seniors, applause from peers, recognition from the industry and appreciation from the media. It keeps them going and they completely deserve it. 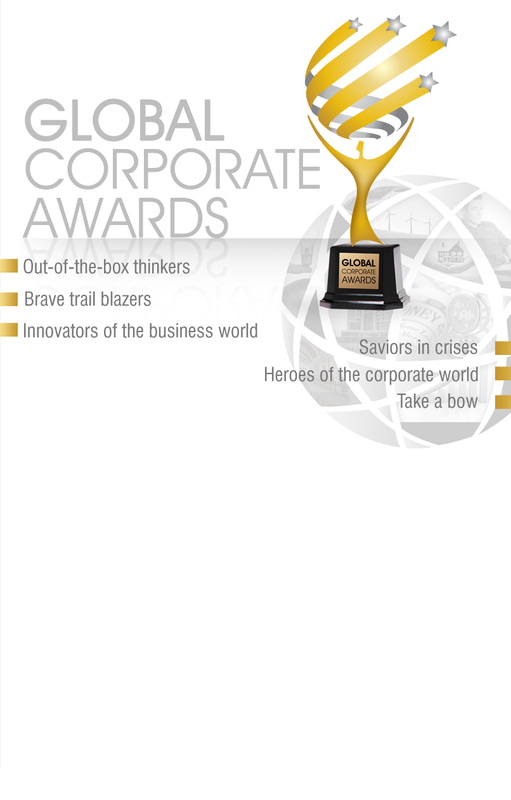 The Global Corporate Awards is one such unique initiative to recognize, applaud and salute those achievers and leaders who have made their mark and do it again and again everyday!